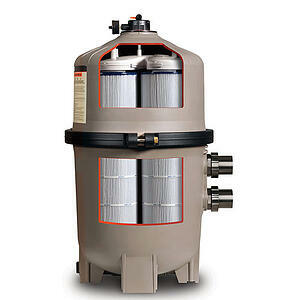 Sand filters are the most popular pool filters our customers choose due to the combination of desired features. low cost and incredibly easy use. These filters are effective for most home installations and require very little interaction. Maintaining a sand filter requires backwashing to remove the debris collected over time. The actual filter does not require disassembling to achieve this as you only have to turn the backwash valve. Easy! Your sand will only need to be replaced roughly every 5 years, again making this filter type the most user-friendly option on the market! While sand, cartridge, and D.E. filters all offer excellent filtration, cartridge filters offer longer cleaning cycles, are the most energy efficient and conserve the most water out of the three filtration types. This is primarily because cartridge filters do not require backwashing! You save a massive amount of water (some filters up to 90%), have more surface area dedicated to cleaning your water, and by not having a backwash valve it minimizes restrictions creating less demand on the pump and a lower energy consumption. 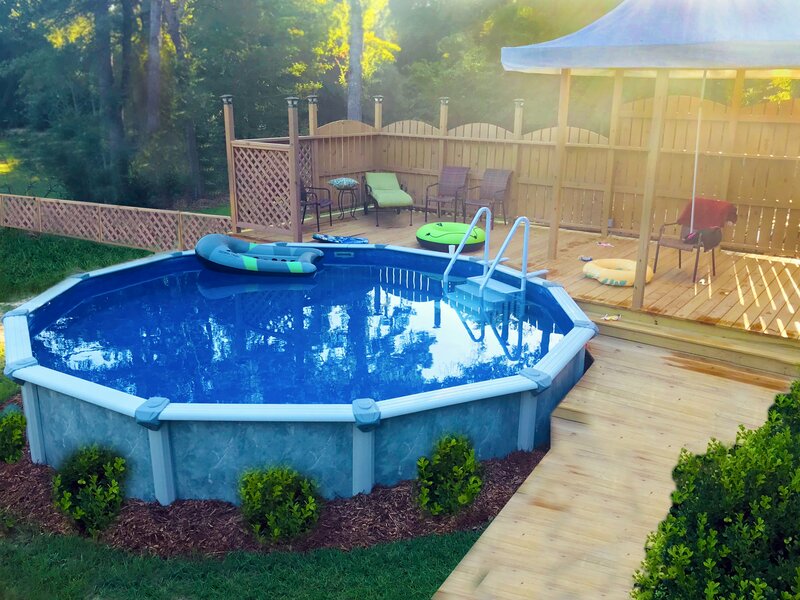 Cartridge filters are strongly recommended for pools that have variable speed pumps and/or laminar systems as they have proven to be much more efficient with these water features. These filters require disassembly as well as periodical cleaning in order to remove debris from the filter. Simply remove the cartridge(s) and rinse with a hose! D.E. filter: our experience is that most people will either love it or hate it. There is oddly enough no in-between. D.E. 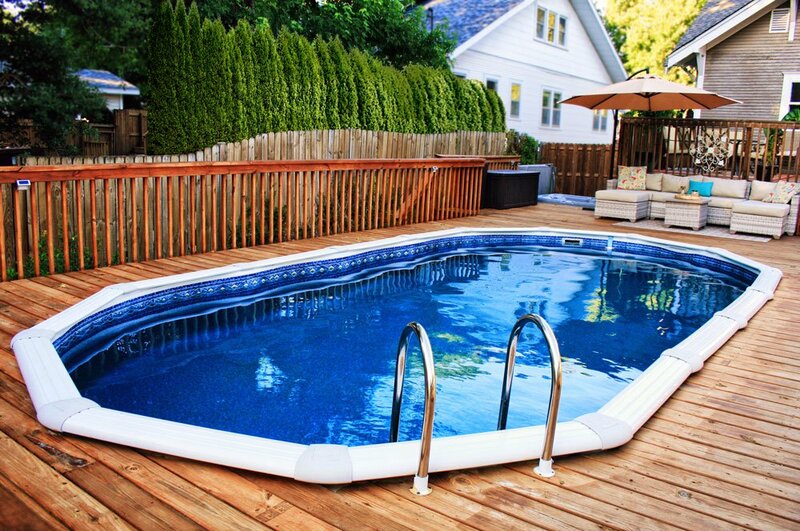 filters have been known in the pool industry for providing the clearest water the most consistently! Great, right? However, this requires more maintenance on the home owners part. In order for a D.E. filter to operate you must add diatomaceous earth to your skimmer so that the diatomaceous earth attaches to a very fine mesh "grid" inside the filter body. When it's time for cleaning, a simple backwash is followed by the addition of D.E. through the skimmer. Disassembly of the filter is not required during the standard cleaning process. 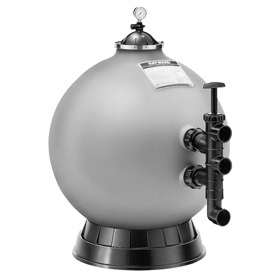 All of Royal Swimming Pool’s Inground Swimming Pool Kits come with a standard 24” sand filter. This filter can be switched out for any premium filter as an upgraded feature. Regardless of which type of filter you choose, you’ll want to make sure you properly select the correct pump and filter combination. The means that the pump has to be the same size as the filter (ideally) or smaller than the filter. 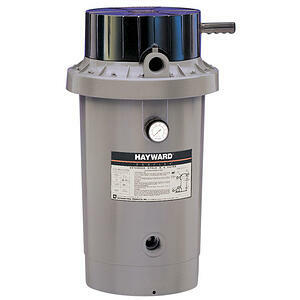 The pump cannot be larger than the filter and expected to work properly, if at all. √ If choosing a pump with a 1-1/2” inlet/outlet, you should to choose a filter with a 1-1/2” inlet/outlet as well. However, a pump with a 1-1/2” inlet/outlet can work with a filter with a 2” inlet/outlet if needed to.